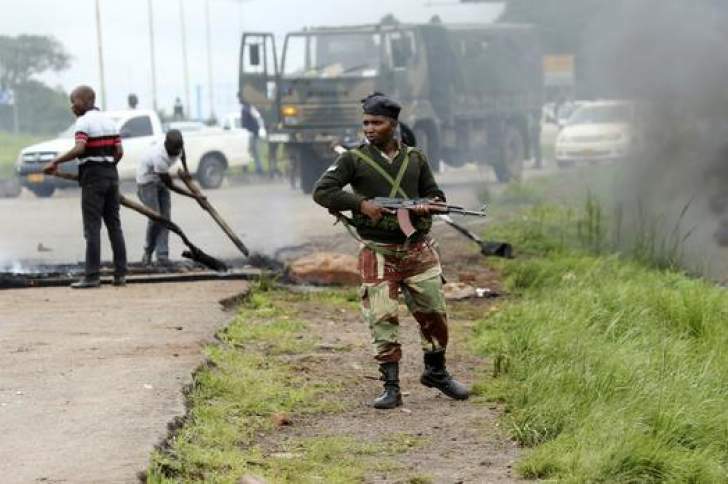 THE Zimbabwe Council of Churches (ZCC) yesterday urged the government to stop using State security agents to indiscriminately shoot at protesting civilians. ZCC said demonstrating was a constitutional right and pleaded with the security agents to stop shooting civilians. The statement came after at least eight people were reportedly shot dead between Monday and yesterday by police in attempts to quell protests against President Emmerson Mnangagwa's recent decision to hike fuel prices by over 150%. Over 30 people have also been treated for injuries, according to Zimbabwe Association of Doctors for Human Rights. "The church pleads with those in the security sector to stop shooting civilians. We reject the use of violence and intimidation against those citizens exercising their democratic rights and fundamental freedoms in peace," ZCC said in a statement. "The church also urges all citizens of goodwill to assist those injured and comfort the bereaved. The church also calls upon all public health facilities to ensure that all those affected will access immediate help and treatment without discrimination." ZCC said many Zimbabweans were living in abject poverty and the increase on the prices of fuel and other commodities have caused pain, but this did not justify violent protests. "Regrettably, citizens' protests and acts of civil disobedience have degenerated into violence, destruction of property, injury and loss of life. Information at hand suggests that some of those who got injured and killed were from gunshot wounds," the church grouping said. "Many Zimbabweans are struggling to make ends meet. The effects of price increases not only to fuel, but to basic goods and services such as health, education and food have made many people angry and desperate. They have also deepened divisions and heightened disagreements." The ZCC added: "At this moment of despair, Zimbabweans long for their leaders in government and all other sectors to show urgency and leadership in addressing their concerns. They are seeking confidence that their situation will be improved sooner than later. Many Zimbabweans desire a just distribution of both gains of living in Zimbabwe as it goes through this transition. The current situation cannot continue like this." The churches said all people wishing to express themselves should do so peacefully and called on Zimbabweans to unite to solve the ongoing challenges.